I remember eating at 麥文記麵家 Mak Man Kee Noodle Shop once many years back and it was seriously good. But in Hong Kong, one is literally spoilt for choices when it comes to wantan mee. Noodle shops selling wantan mee can be found practically every other street! 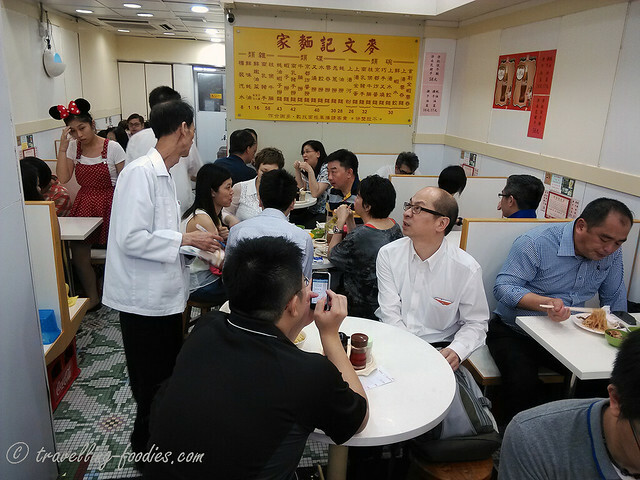 But when it comes to getting to know the “reputably good”, one must mention the 香港5大雲吞麺家 “Wantan Mee Famous Five” in Hong Kong, 麥奀雲吞麺家 “Mak An Kee” in Sheung Wan， 麥奀記 (忠記) 麵家 “Mak An Chung Kee” Noodle in Central， 麥文記麵家 “Mak Man Kee” in Jordan, 何洪記 “Hung Man Kee” in Causeway Bay, 正斗 “Tasty Congee and Noodles” in Happy Valley. Their roots can be traced back to the original 池記 “Chee Kee” in Guangzhou China, where all of the “founders” of Famous Five apprenticed. Since then, they have been highly regarded and held as the benchmark of wantan mee in Hong Kong. But are they really that good?